California Property of Deceased Overseas Owner Affected by Probate Code of Foreign Country | Law Offices of Connie Yi, P.C. 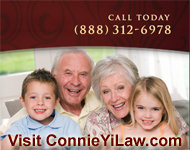 Law Offices of Connie Yi, P.C. As a melting-pot state with many ties to Asia and Latin America, it is a fairly common for property in California to be owned by a foreign company or individual. If a deceased citizen of another country owned property in the United States at the time of death, the probate codes of the deceased’s native country apply to that person’s estate, in addition to California Probate Code being applicable – even if the surviving spouse and children are American citizens who live stateside. We recently encountered a situation in which a Taiwanese resident, who recently passed away, had purchased property in California for a daughter who was attending school in the state. The Taiwanese parent in this case did not have a will, which meant the house in California was part of the parent’s intestate estate. 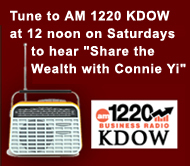 As we discussed on a recent edition of our weekly radio and web broadcast on KDOW 1220 AM, Wealth Management and You with Connie Yi, we were instructed by the court to research and understand the probate laws of the foreign country with jurisdiction, in this case Taiwan, to ensure the distribution of the assets in the estate is correct according to that country’s laws. In similar cases that might involve the surviving spouse of a foreign resident and the couple’s community property in California, we would probably consider the option of filing a spousal petition, as way of avoiding probate, but the petition would need to adhere to the laws of the deceased’s homeland. A way to avoid dealing with foreign inheritance laws is to put real estate and other assets into a living trust. If the property has been properly placed in the trust, then its distribution will be according to California laws. In many cases we encounter, proper estate planning was avoided, because parents don’t like to talk about this subject. Unfortunately, their children are left to deal with the time, expense, and hassle of settling the estate when the inevitable occurs. The specific details of a will override default inheritance laws. If you do not want local and/or foreign probate codes to eventually dictate the division of your estate, you merely need to create a valid will that clearly indicates your intent. During this broadcast we also discussed the rights of a surviving spouse and other family members, in California, as well as in a few other countries. In California, a community property state, the probate code indicates that by default, a surviving spouse with children retains his or her 50% share of all community property, plus he or she, as a legal partner, inherits 50% of the remaining community property. In this type of default situation, the surviving spouse receives 75% of the deceased’s estate. Children frequently will turn over their 25% interest to the remaining parent, so that the title of the property lists just the surviving spouse. In France, the number of children from a marriage is taken into account when the estate is divided among the family members. The surviving spouse receives only 25% of the community property by default, with the remaining 75% evenly divided among the children. However, the surviving spouse also receives statutory “life estate” rights to live in the house or to temporarily lease it, but cannot force the children to sell their 75% interest in the property. In Italy, the deceased’s “immediate family” members are entitled to a share of the estate, with the number of children from the marriage affecting the share of the estate some beneficiaries receive. If there is only one child, the surviving spouse receives one-third of the estate and the child receives one-third. The remaining 33% of the community property is divided among the other members of the immediate family, which could include the parents and siblings of the deceased. If the marriage produced multiple children, the surviving spouse receives 25% of the estate, the children collectively receive and equally divide 50% of the estate, and the immediate family members receive the remaining 25%. In Singapore, the country to which Facebook co-founder Eduardo Saverin recently moved after he denounced his U.S. citizenship, to avoid capital gains taxes on his IPO windfall, the surviving spouse splits the community property 50/50 with the children. Singapore’s Intestate Succession Act, which governs the distribution of the estates of those who die without a valid will, does not apply to Muslims. In Taiwan, the surviving spouse receives a share of the estate that is equal to each child’s share. However, the children also inherit the parent’s debt, unless they go through the legal process to formally disinherit the debt. In India, where the fundamental rights are different for Hindus and Muslims, each family’s estate is governed by the rules of their sect, which is a similar situation as in Singapore. In the state of Indiana, where we studied and are also licensed to practice law, when no will is left by the deceased, the percentage of the estate received by a surviving spouse is adjusted according to several factors. The intestate succession factors in Indiana include whether or not there are any children with the surviving spouse, whether there are children from a previous marriage, and whether or not either or both of the deceased’s parents are alive at the time of death. In tragic situations where both spouses in a marriage die as a result of the same accident – or worse, parent(s) and child(ren) are fatally involved – the time of the legal declaration of death can play a significant role in determining the succession of property and the division of the estates, especially if wills do not exist for all of the deceased. Another example of how foreign probate codes affect us in California, we recently received a phone call from a widow in the Bay area, an American who had married an Italian, because her late husband’s sister in Italy was inquiring about a share of the brother’s estate. The sister’s inquiry was based on Italian law and the long-standing customs of her family, so even though the request seemed unusual to the widow, it was normal behavior to Italian family members. If you have questions or concerns about any of the topics mentioned above and would like a free consultation with Connie Yi, a California estate planning attorney, please contact us. 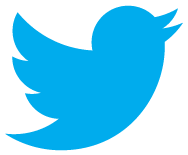 We have four conveniently located offices around the Bay area: San Francisco, San Mateo, San Jose, and Pleasanton. This entry was posted in Estate Planning, Overseas Assets, Probate, Trusts & Estates and tagged avoiding probate, California Probate Code, Community Property, declaration of death, Estate Planning, intestate estate, Intestate Succession Act, Living Trust, Probate Code, Probate Code France, Probate Code India, Probate Code Indiana, Probate Code Italy, Probate Code Singapore, Probate Code Taiwan, probate laws, spousal petition, surviving spouse, time of death. Bookmark the permalink. Should a CPA be an Estate Trustee for a Client?